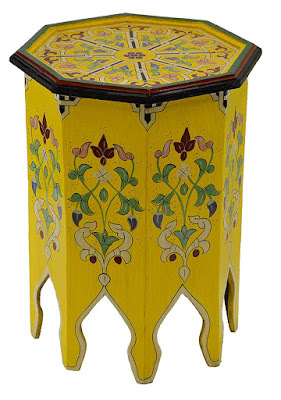 The husband and I are in the process of moving from our small country mobile home to a rental house in the burbs. 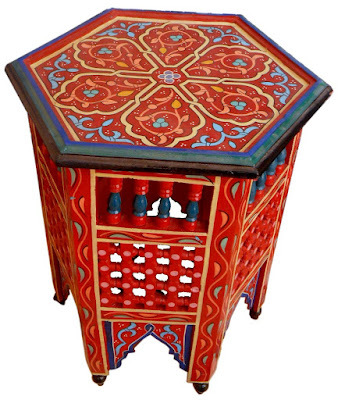 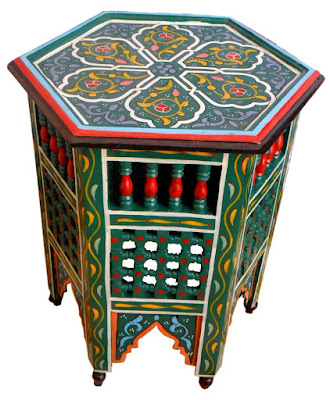 I've been on the hunt for some colorful ethnic furniture to fill our new abode but it's slim pickings here in my town. 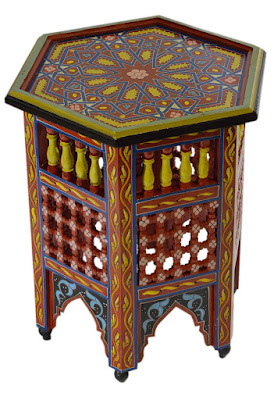 I did, however, see a short Moroccan inspired table at Ross Dress for Less for a pretty low price but I had to leave the precious darling behind since I was Christmas shopping for others -not myself. 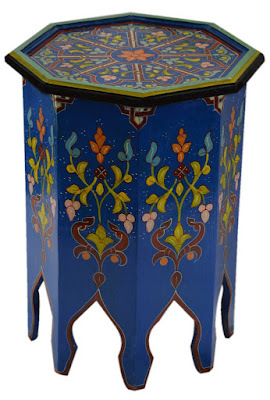 An Amazon browse brought some Moroccan tables to my attention today and I saw so many gorgeous works I just had to share. 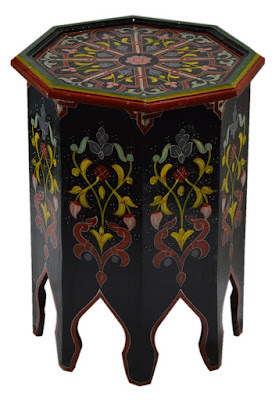 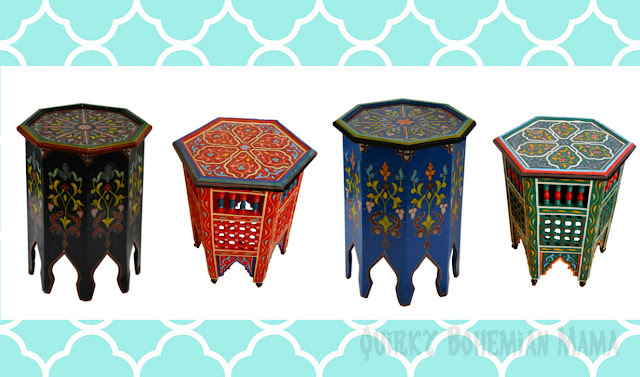 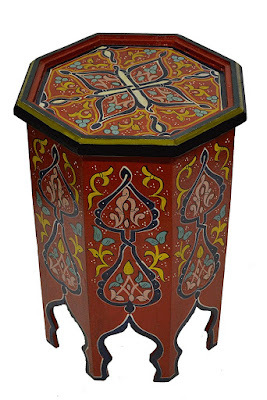 These tables are all around 21" tall, they're all hand-carved and hand-painted.